Schedule a No-Obligation Career Consultation Today! 1. Are you sending resumes without results? 2. Are you getting interviews - but no offers? 3. Are you getting phone interviews - no meetings? 4. Are you struggling with a career transition? 5. Are you struggling to understand your career options? Schedule your complimentary time to speak with 'The Coach'. It's EASY! (2.) Provide your Name / Email / Cell # to CONFIRM. An email confirmation will be sent to the email you provide immediately. (3.) 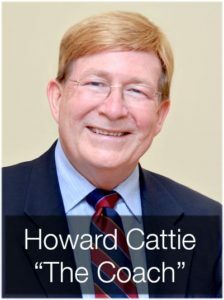 Email a copy of your current resume to Howard@CareerOyster.com. Schedule a No-Obligation Career Consultation Today !